Two weeks down, two to go! Sometimes it seems like two more weeks is a long time. Other times I think about school starting and get stressed out! Carpools and making lunches and making sure the kids (especially Zachary) do their homework…it all seems like too much right now! But there are still two more weeks, and before I worry about all of that, I need to worry about planning for Simon’s birthday party! There’s only one more week until then! Anyway. Here’s what we did this week – starting with last Friday. We did some baking and then we filled up the little pool in the backyard. It was a lot of fun. Zachary went into the pool wearing rain boots and both boys splashed into the pool after sliding down our small slide. Gabbie said she saw a bee and she went inside! Well, at least the boys had fun! We had to change around our plans this week since Monday was a very rainy day. We had planned an outdoor trip originally. Luckily we were able to change things around and we did Wednesday’s trip on Monday and Monday’s trip on Wednesday! So we went to Crown Center to check out the Curious George exhibit. 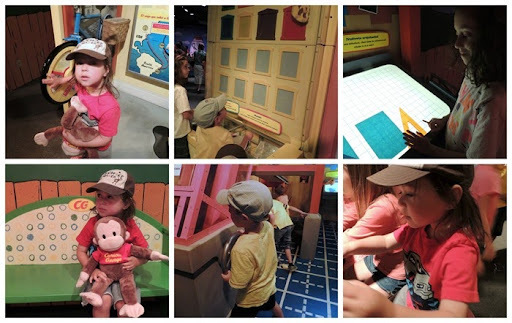 It turns out that it is the same Curious George exhibit that the kids saw when they were in NJ! They played there a bit, then we walked over to Union Station to visit the model trains. On Tuesday we made melted crayon art. They came out pretty cool and the kids enjoyed watching the crayons melt and splatter. 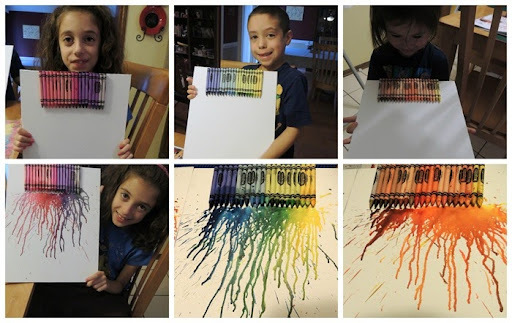 This project took awhile, although most of it was my part of it – the gluing of the crayons and the blow drying to melt them. The kids just picked out which crayons to use and the order to put them in. Simon got the leftovers! He was not so interested in this project. 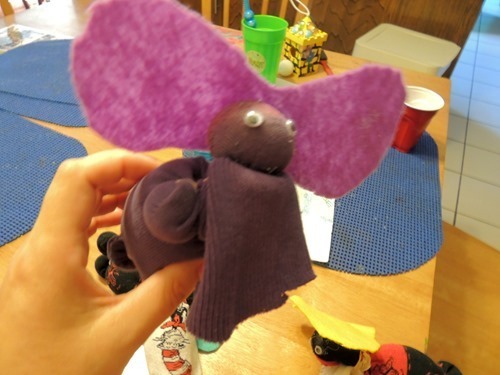 On Thursday we made elephants out of socks. The idea was fun but the execution was a bit difficult for the kids. It didn’t hold their attention for very long either. On both afternoons we went swimming. Tuesday was again a bit overcast, but Thursday was beautiful for swimming! We swam at our friends’ house on Thursday and it was very relaxing and fun! After we swam, the boys had a play date at another friends’ house and I took Gabbie and her friend to the American Girl store to make a craft there. 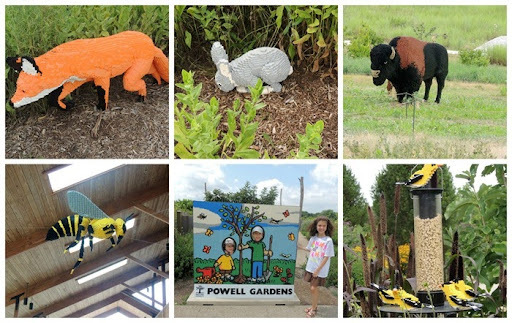 Our big trip this week was to Powell Gardens. It is about a 45 minute drive and we hadn’t been there before. We really liked it! 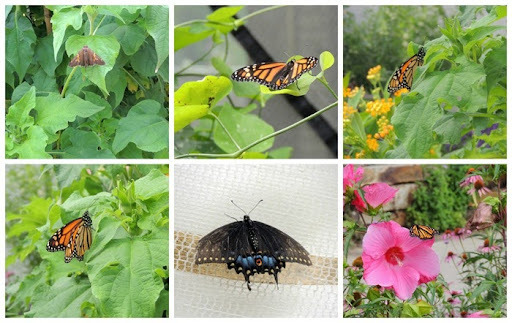 They are having their butterfly exhibit this weekend, so while we didn’t get to see that, we did see a small butterfly display. 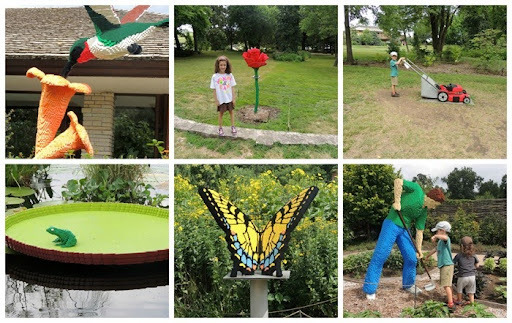 They also have 14 different Lego models of plants and animals around the gardens. We made it our goal to find all of them, so that kept us occupied for a good while! 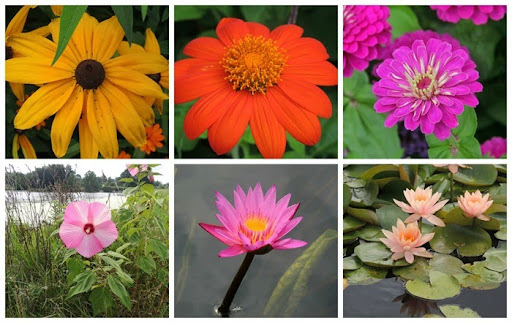 We also discovered that the gardens are not just trees and flowers – they also grow fruits and vegetables there. I got to try zucchini, yellow squash, beans, and peas that were grown there. Gabbie, Simon, and I also enjoyed picking and eating blackberries! 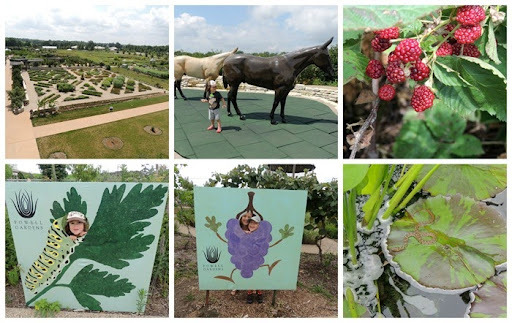 Zachary doesn’t like fruit, but he helped us find the best and ripest berries to pick. 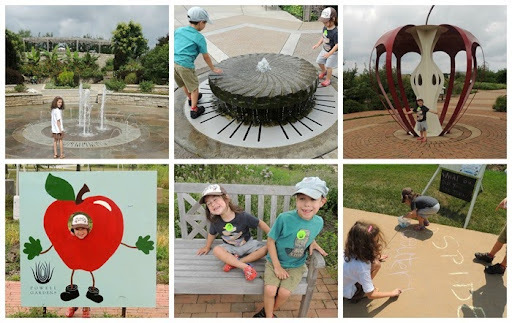 We concluded our visit with a trolley ride around the gardens, which of course the kids loved. That brings us to today. Of course it is raining again when we were planning a walk on a nature trail including a scavenger hunt. Gabbie was interested in doing an indoor scavenger hunt, so she did that while the boys watched TV and played on the iPad. Possibly at the same time. Ooh, I’m a great mom. Luckily, both boys wanted to play eventually too. So we had lots of fun collecting things all over the house.